St. Louis, MO – The National Institute for Reproductive Health (NIRH) commends Missouri advocates, activists and policymakers who expanded reproductive freedom in St. Louis today and passed Board Bill 34, ‘The Buffer Zone Bill.’ First introduced by Alderwoman Christine Ingrassia in 2017, the new clinic protection ordinance will create an eight-foot buffer zone around St. Louis’ Planned Parenthood clinic so that women can access the quality abortion care they need free from fear, intimidation, and violence. While President Trump and Governor Greitens work to undermine access to reproductive health care on every front, emboldening anti-abortion protesters, advocates and policymakers in St. Louis are changing public policy to advance access to abortion and contraception. Building on the successful passage of St. Louis’ Reproductive Health Nondiscrimination Ordinance in 2017, NARAL Pro-Choice Missouri, with support from NIRH, was able win the fight for the new clinic protection ordinance in St. Louis and show that localities can safeguard women’s health and reproductive freedom in the face of a hostile federal and state government. Today’s win for reproductive freedom in St. Louis means that Missouri’s largest municipality will be a better, safer place for women to access reproductive health care. St. Louis originally earned a two out of a possible five stars in NIRH’s 2017 Local Reproductive Freedom Index. NIRH will re-evaluate the reproductive health, rights and justice policies of the most populous U.S. cities in order to reflect advances such as this one in 2019. The National Institute for Reproductive Health builds power at the state and local level to change public policy, galvanize public support, and normalize women’s decisions about abortion and contraception. Using a partnership model, we provide state and local advocates with strategic guidance, hands-on support, and funding to create national change from the ground up. We form strategic partnerships with a wide range of organizations to directly impact the reproductive health and lives of women across the country. 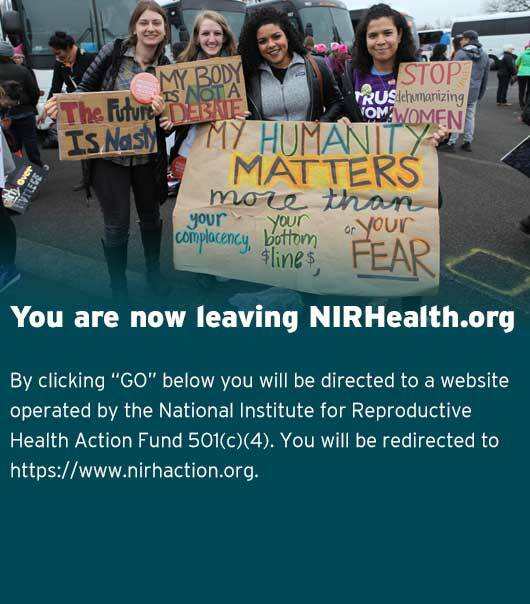 Each year, NIRH works in at least 20 states and more than a dozen localities; to date, NIRH has partnered with more than 150 reproductive health, rights, and justice organizations in 39 states and 56 localities across the country. At the national level, NIRH engages in groundbreaking public opinion research, proactive policy initiatives, and innovative advocacy campaigns to shape a new national conversation about reproductive freedom. NARAL Pro-Choice Missouri is the state’s largest grassroots organization dedicated to protecting and expanding reproductive freedom for all Missourians. NARAL works to guarantee that every woman has the right to make personal decisions regarding the full range of reproductive choices, including preventing unintended pregnancy, bearing healthy children, and choosing legal abortion.